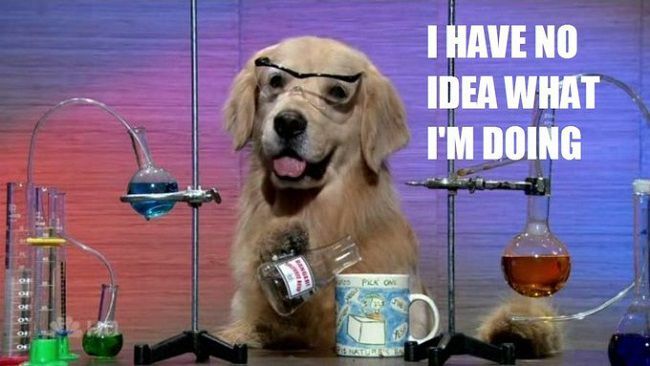 When it comes to any sort of technology, I’m similar to the pooch in the picture above. Fortunately, I work on a team with lots of smart people who can answer my questions. As of late, I’ve been touring the snow covered eastern seaboard as I teach ASP.NET web camps. A common question that comes up is “What are the differences between ASP.NET Web API and Mobile Services?” I wrote about how I use mobile services in the past, in my prime tutorial for Unity leaderboards, but I haven’t touched on Web API just yet. If you want to know more about what’s happening in ASP.NET, the team often does a community standup on Google Hangouts with Jon Galloway, Scott Hanselman, and Damien Edwards. I’ve spoken with some of the folks on my team about the key differences between the two back ends, and here is what they had to say. Thanks to Steve Maier, Nick Landry, Jeremy Foster, and Adam Tuliper. For any non .NET developer, I encourage them to use Node since it’s quite popular and many devs are already familiar with it. The Node backend is also much simpler to work with. WebAPI requires an ASP.NET solution. Mobile Services will build the project for you but from there you have more work to do and you need to be familiar with .NET. My understanding is that you’ll get a lot more control over your solution with WebAPI compared to Node. If you’re actually building your own API for your service instead of just accepting HTTP Verbs over REST. In that case, WebAPI is a better solution since Azure provides facilities for API management. This means mobile services gets an SLA of 99.9% with the lowest price of $15/month. Websites minimum is $112 / month because of needing 2 of the smallest instances. So anyone that needs / wants the SLA could save money with Mobile Services. Mobile Services has setups for the major social networking as well as AAD. Websites (Web API) can be coded and setup to use identity from AAD and tie that into other services as well. This means that for many developers, Mobile Services will be easier to setup. Mobile Services has a basic push notifications built in as well as notification hub. Website can use notification hub. Websites (Web API) have a backup feature. Mobile Services (JS) use an automatically created Git repo in Azure and for .NET, you should be using source control anyways. Mobile Services has Scheduler (can only be run on a schedule or on demand.). Websites (Web API) havs WebJobs (can be run continuously, on demand or on a schedule). If you want to see how things are changing in the new version of ASP.NET 5, this video on Channel 9 from Scott Hanselman will give you a better picture.